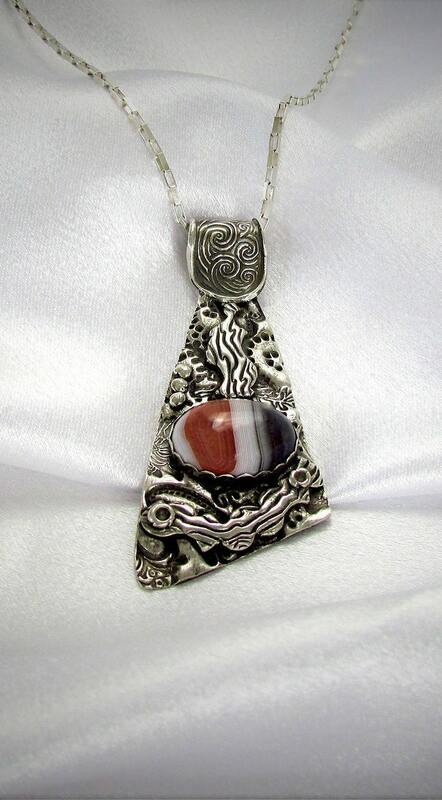 Using a blend of 925 Sterling Silver and 999 Fine Silver I hand sculpted and carved this amazing 3-D pendant featuring a beautiful Botswana Agate from Africa. 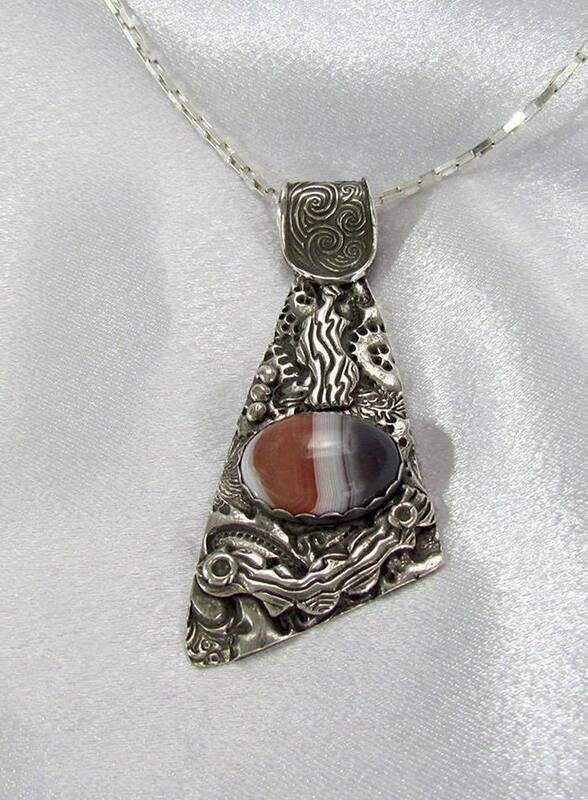 The Botswana Agate is only found in one location in Africa and is known for it's strength and encouraging qualities. I sculpted various layers that resemble waves and hence the name "Waves of Encouragement" for this piece. Botswana Agate comes in various colors but this particular cabachon had waves within the stone which inspired me to create the surrounding setting to bring out those waves. 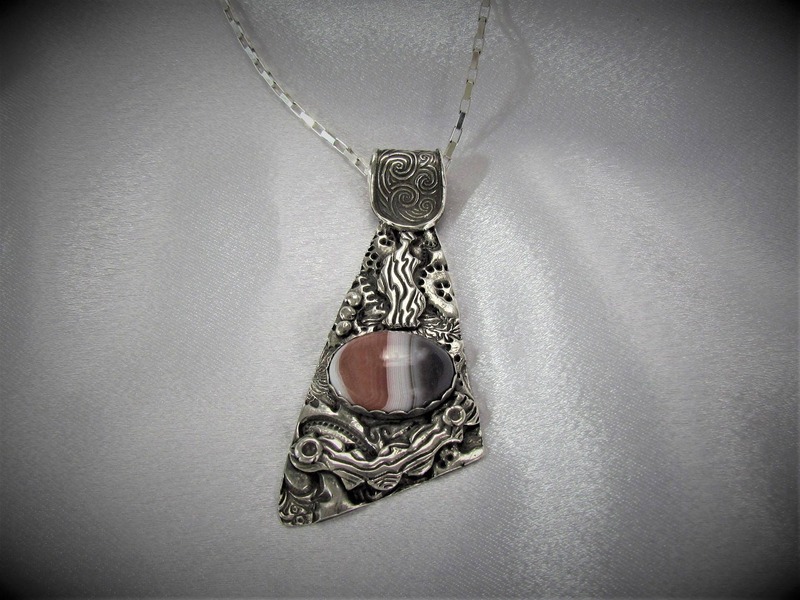 Even though this pendant is not petite in size, I ensured that the weight would be light and comfortable for every day wear. 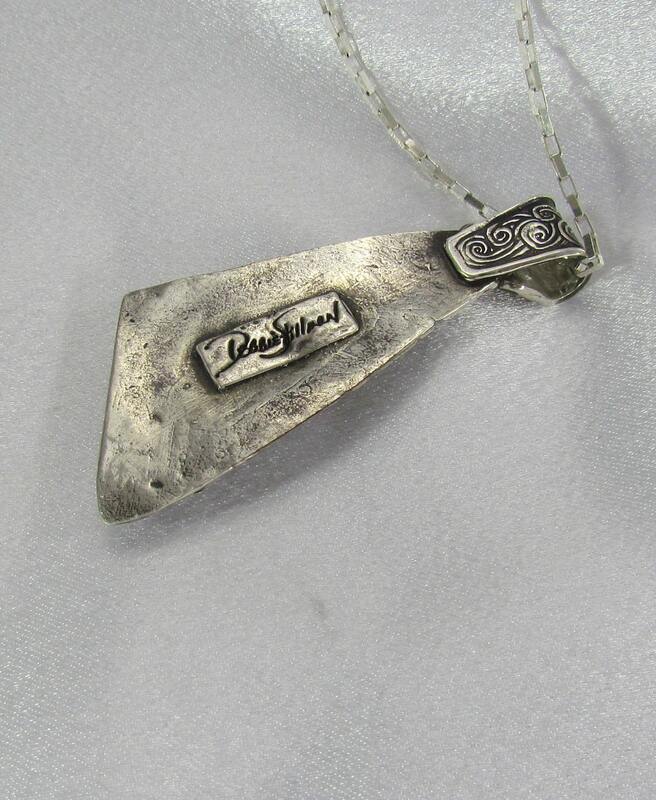 I offer a 925 Sterling Silver Chain in varying sizes. "Waves of Encouragement" is one of my one-of-a-kind works of wearable art and a design I will not re-create so it is truly one-of-a-kind.